Ben Connor and Sophie Cowper claimed England 5km Championships titles on Friday (April 28) thanks to their success at the Mid Cheshire 5K event at Kingsley. Connor went into the event as favourite following his fine form on the roads and cross country this winter. 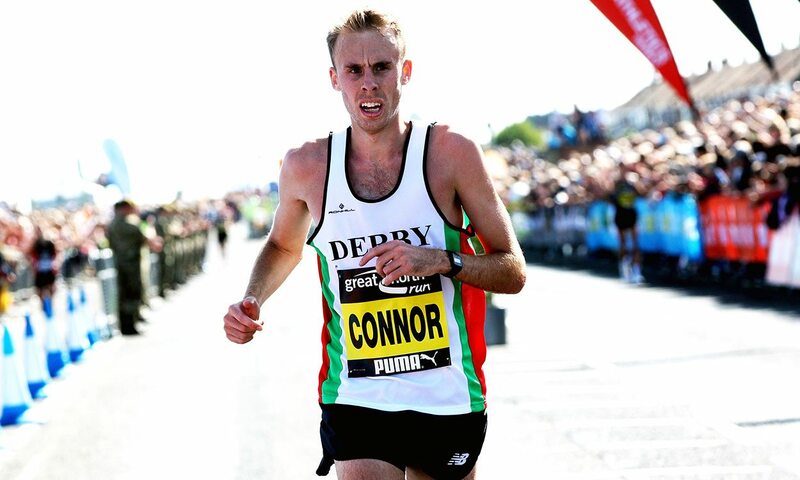 The Derby athlete lived up to that billing as he came close to his road PB of 13:55 set when winning at the Armagh International Road Races in February, clocking 14:00 to take the title. Connor, who also won at the Saucony English National Cross Country Championships in February, secured a nine-second victory ahead of Blackheath & Bromley’s Philip Sesemann, who had finished fourth at the British Athletics Indoor Team Trials over 1500m in February. Highgate’s Andy Maud finished third, clocking 14:13, as another 20 athletes went sub-15:00. In the women’s race, Rotherham’s Cowper, who was fourth in last year’s Great Ireland Run 10km and is also entered for Sunday’s Simplyhealth Great Birmingham 10k, secured success in 16:27 to finish 13 seconds ahead of GB mountain runner Emma Clayton of Leeds City. Nottingham’s Laura-Jane Smith continued to show good form on the roads this year as she was just a further second behind, clocking 16:41 for third.